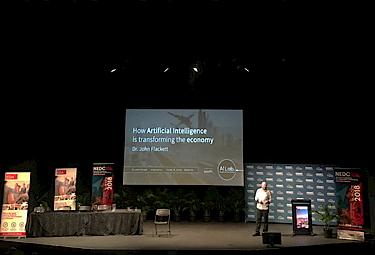 Artificial Intelligence is John's passion and has been an integral part of his career via teaching, research, business and education. An expert in his field, John achieved his a PhD in Artificial Intelligence (Machine Learning (ML) and Natural Language Processing (NLP)) in 2005. John is interested in numerous aspects of AI and cognitive science, in particular; representational adequacies, NLP, feature extraction, signal fusion and hybrid systems. With 20+ years' experience in Artificial Intelligence, John's worked in a wide range of industries (including academia, banking, engineering) and was previously a Senior Academic in the UK for 10 years, teaching masters and undergraduate Artificial Intelligence and undergraduate Computer Studies and Software Engineering. After migrating to South Australia from the UK, John co-founded koolth; a smart web specialist company that empowers businesses with next generation online tools and delivers cutting-edge technology solutions and consultancy to a host of industries across the globe. AiLab is John’s second business venture with co-founder Emma Berry. 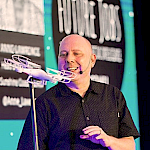 An international Artificial Intelligence speaker for many years, John regularly runs workshops and presents at events around the world (including UK, Europe, Australia, USA) speaking about AI, future jobs and emerging technology to industry, schools/education, community and government. 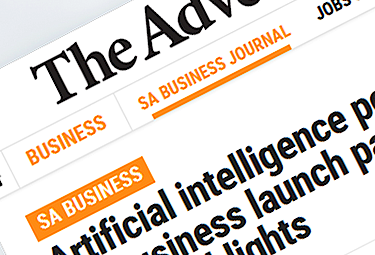 John is also the co-founder and organiser of the popular Adelaide Artificial Intelligence Meetup series in Australia and Hampshire Artificial Intelligence Meetup in the UK. As a Software Engineer, John has also designed and developed bespoke software for use across many industries (including retail, oil & gas, education & IT). These software solutions are being used throughout Australia and around the world. In his spare time, John enjoys assisting with technology/hackathon events and social good initiatives, as well mentoring individuals in the tech community. He is also fortunate to have picked up a couple of awards throughout his career, including multiple GovHack prizes and a British Computer Society (BCS) award. Passionate about AI and his craft, John is dedicated to mentoring, collaborating and helping people across the globe to learn and navigate the field of ArtificiaI Intelligence and emerging technology. 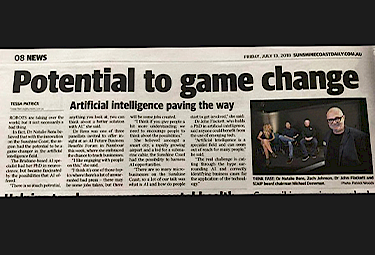 John has a PhD in Artificial Intelligence, PgC in Research and First Class Honours in Computer Studies. 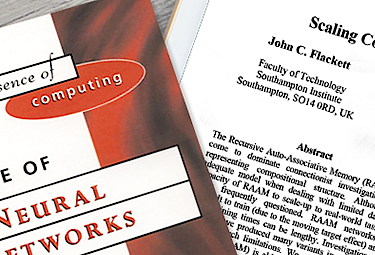 As well as teaching masters & undergraduate Artificial Intelligence and undergraduate Computer Studies and Software Engineering, John was a Cisco Java Instructor and Supervisor/Coordinator of students final year undergraduate and postgraduate projects. He also was the Supervisor for the annual, end of year Technology Degree Show. 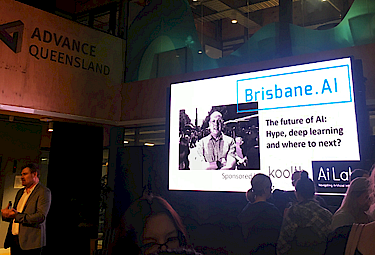 Below is a brief summary of a few of John’s keynotes, talks and events. Visit John’s media pages for details on John’s interviews and contributions/publications. "I write on behalf of nbn co with a simple message of thanks for your keynote speaker role at the recent Unley Business Association and City of Unley Business Breakfast. The theme of “Artificial Intelligence and internet of the future” was overwhelming received with interest; though a shock to some when assessing the disruption and transitional impacts. nbn co, Council and the business community very much appreciated you volunteering your time, insights and passion. Your preparation, delivery tailored to the business audience, and your easy and engaging approach took us all on a journey that, for an early morning breakfast forum, was both entertaining and insightful. The value-added from a comprehensive understanding of digital marketing, website development and big data management was of particular value too. I’d not hesitate in seeking your services again, and would recommend you to anyone who asks – or doesn’t. I look forward working with you again in the future."